This is the obligatory ‘kick off the year with a healthy start’ post. We just got back from Marco Island and going from 80 degrees and sunny to this 17 degree weather is really messing with my body. 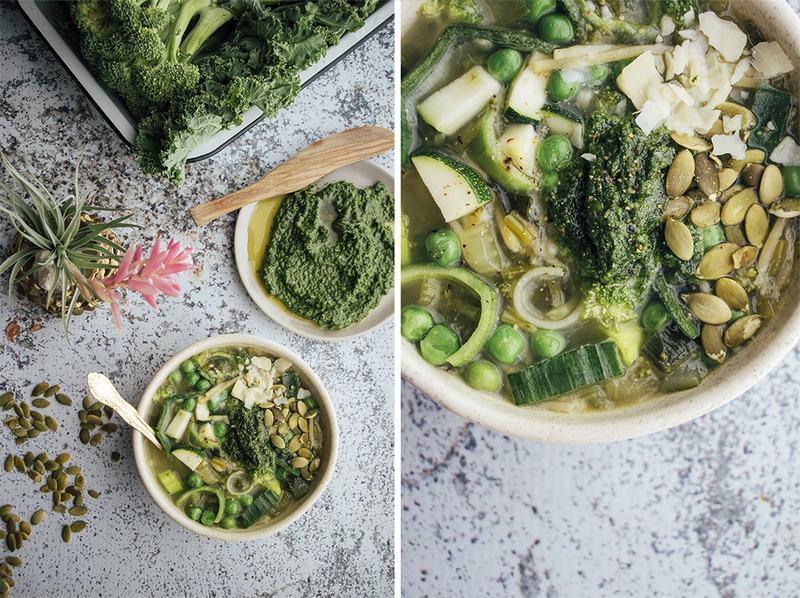 It feels confused, cold, and a little bit achy so I’ve been giving into it’s cravings – hot tea, warm soup, and lots and lots of greens. I usually have time at the end of the year to do a wrap up post and look back on how the last year has shaped up. However, since we were on vacation, I jumped right into 2015 without much reflection. 2014 was a whirlwind of a year for me – starting a magazine, doing freelance recipe development with some of my favorite brands, being interviewed by Food & Wine, getting nominated for a Saveur Award, and continually watching as more and more of you come around VV. I know this is belated but I wanted to say thank you to all of you reading and to everyone who has commented, encouraged through social media, or sent me a thoughtful email about Vegetarian ‘Ventures. This place wouldn’t be the same without you and it’s moments like that that push me to try even harder around here. Cheers to being internet friends and cheers to our continued time together in 2015! This soup is incredibly simple which means it’s important to use fresh ingredients so that the flavor is as bright as it can be. I’d recommend making your own vegetable broth if you have the time as it adds a depth to this soup that blows the box version out of the water. 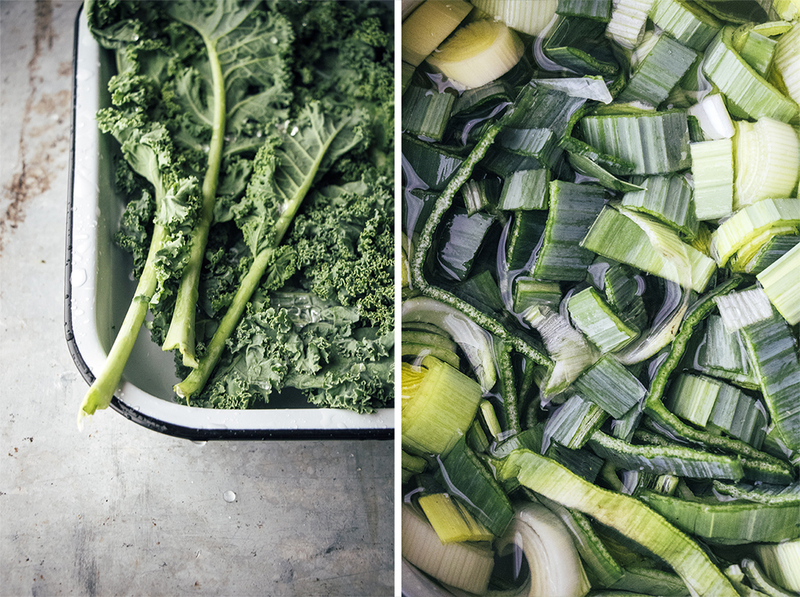 Also, I kept the recipe super simple by letting you pick which green vegetables to put into this – make sure that they are all chopped up around the same size and that you put the firmer vegetables in first since they will need to cook the longest. This goal in this recipe is to keep the vegetables slightly crunchy to give your teeth something to bite into and to avoid a mushy mess for the end product. Cool? Cool! You got this! A simple and hearty vegetable soup full of nutrients and flavor. 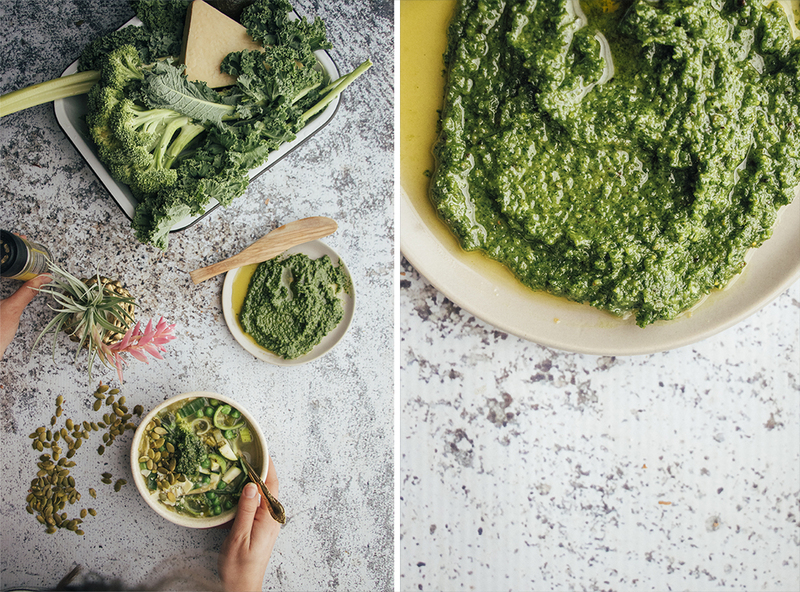 For the pesto: Blend all ingredients together in a food processor or high speed blender until a smooth, green paste forms. Season with salt and pepper. For the soup: Heat the olive oil in a large stockpot over medium heat. Add in the garlic and leeks and saute for 2 minutes or until fragrant. Next, add in the green vegetables and saute for another 5 minutes or until they just begin to soften (don't overcook - we don't want them mushy!). Add the vegetable stock and bring to a boil. Once boiling, add the pasta and cook for as long as the pasta box says (most likely 6-9 minutes). Remove from heat and season with salt and pepper. 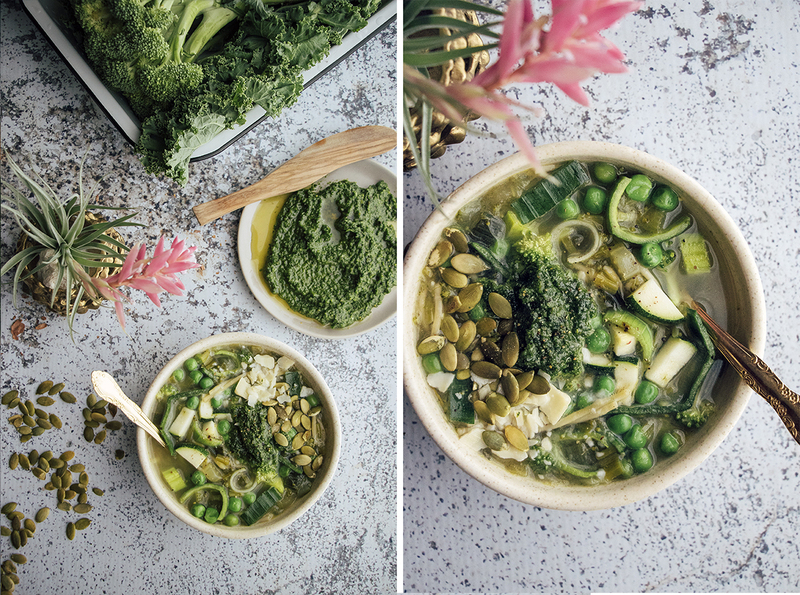 Divide the soup between bowls and garnish with the pesto, chives, pumpkin seeds, and/or Parmesan. Serve warm. Holy crap! These pictures! Beyond beautiful! Happy 2015! Happy New Year!! 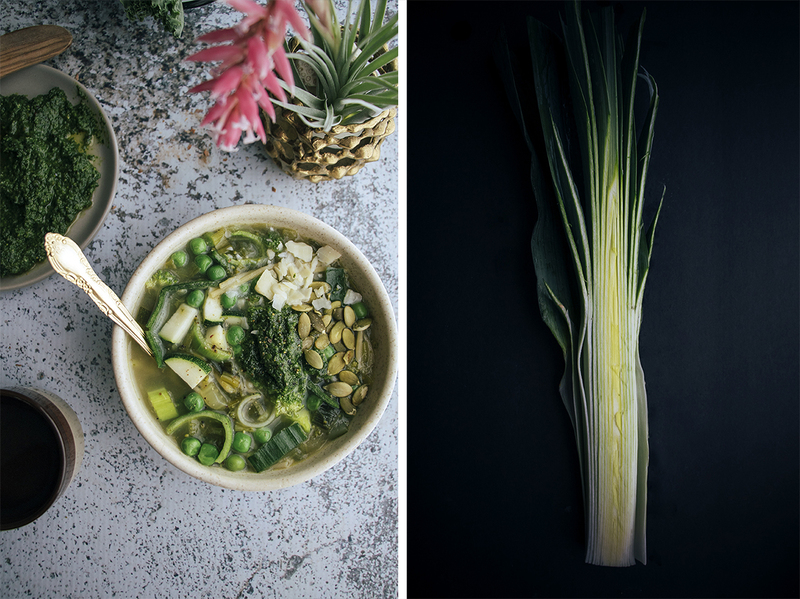 !…And cheers to more beautiful, healthy, obligatory soups like this one. Happy new year Shelly! It was such a joy to discover and follow your blog in 2014 and I can’t wait to see what this year has in store for you (and for us!). This soup is pretty much everything I want right now. wow!!! gorgeous post!!! your photography is blowing me away. i love how you did light and dark backgrounds in the same shoot. do you ever use a macro lens? i feel like my 50mm 1.4 never gets shots that clear so close up. can’t wait to try this recipe, obviously! Look at all those beautiful veggies. Yum! I’m making this tonight along with a nice crusty garlic bread. Thanks for the recipe. I’m an experienced cook, but I’ve never made minestrone. You’ve had such a great year and I know only the best is yet to come! Happy New Year! This soup is the perfect way to start. So vibrant and fresh! Oh my gosh these photos take my breath away! 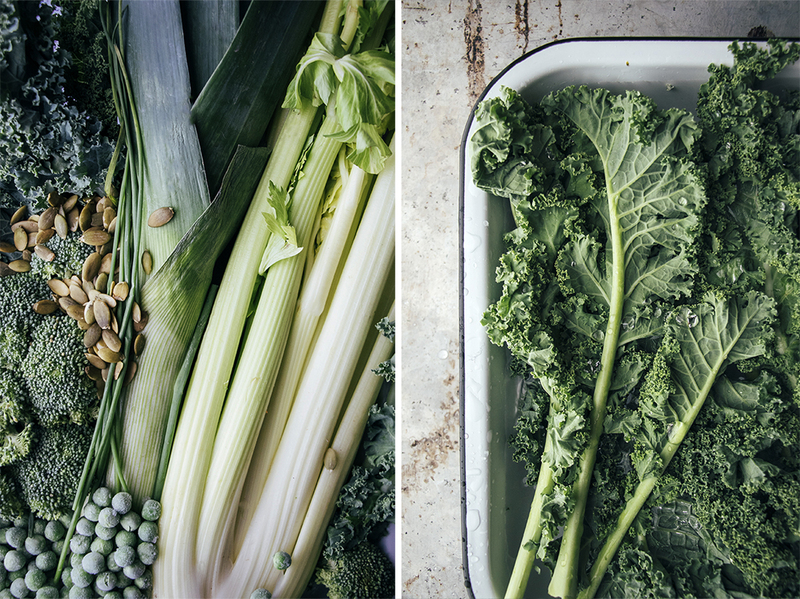 Such a green, green vibrant and delicious soup! And what a fantastic year it has been for you — so glad to have followed your blog through it and so excited to see all that’s in store for 2015. I love the color of this soup. It makes me long for Spring! 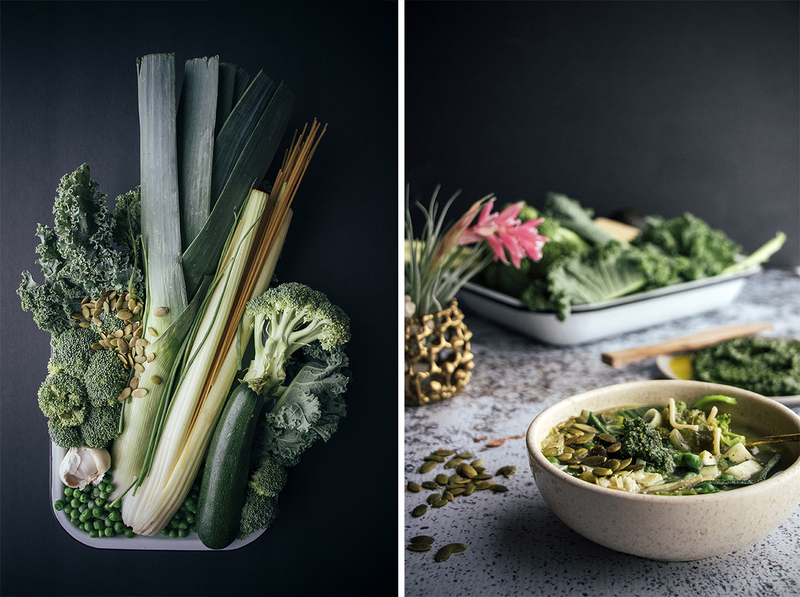 This is one incredible looking minestrone.. and so beautifully captured too. I have to make this recipe! Your photos are beautiful! Very Inspiring:) Can’t wait to try this recipe. This not only looks amazing but I’m sure it’s so full of flavour!